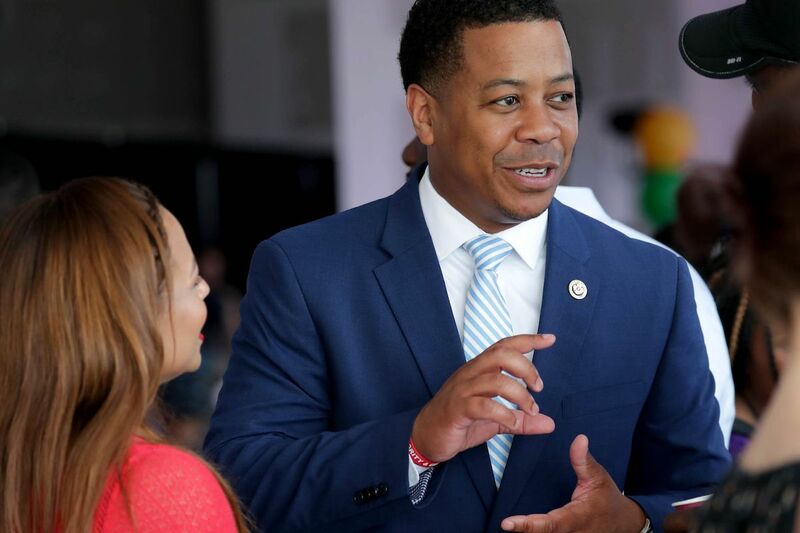 When voters in Wisconsin go to the polls for the state’s Democratic gubernatorial primary on August 14, Mahlon Mitchell, a career firefighter and union president, hopes to pull out a victory. Mitchell, the only black candidate on the ballot, is competing in a crowded field against seven other Democrats for the nomination. In what promises to be a high-profile contest, the winner of the Tuesday primary is expected to face Republican Gov. Scott Walker as he campaigns for a third term in November. Walker has become known for his efforts to decimate unions , prompting Mitchell to campaign heavily on his union background and economic policy. Mahlon Mitchell, a Madison firefighter and state union president, is one of eight Democrats competing in Wisconsin’s August 14 gubernatorial primary. Image courtesy of Mahlon Mitchell campaign. As the Wisconsin primary comes to a close, Mitchell’s campaign has seen a late wave of national buzz, including an August 6 HuffPost article that exclaimed, “Democrats May Have Finally Found The Candidate To Take Down Scott Walker.” The candidate can even tout the endorsement of Sen. Kamala Harris (D-CA). Barack Obama won the state both times he was on the ballot, but Wisconsin notably broke for Donald Trump in 2016. While Mitchell, a candidate for lieutenant governor in 2012, is considered one of the frontrunners for the Democratic nomination along with state schools Superintendent Tony Evers and former state Assembly member Kelda Roys, Vox’s Tara Golshan notes that all of the Democrats on the ballot have struggled to gain name recognition among voters. Polling in the primary has been limited, but the ones out there currently place Evers in the lead.